PLACING A BOOK UNDER YOUR PILLOW? FOUR WAVES OF ENERGY THIS YEAR? 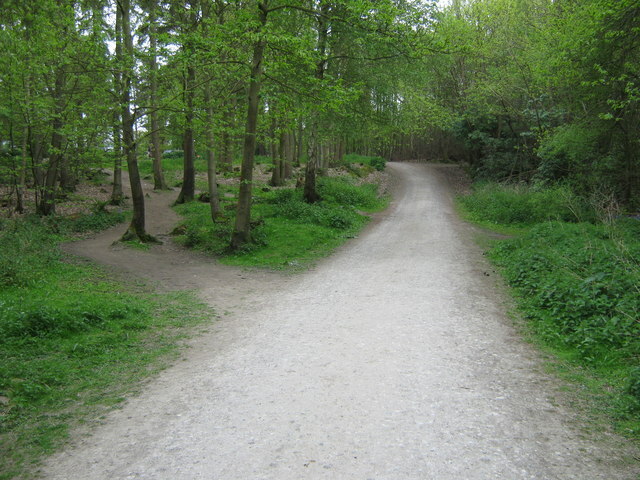 THE GENTLE WAY II: Lindad wrote: A great book to release the worry of what ifs and impact the path of life so that you create rather than react to life. I spent much of my life on my own and often left to my own devices, and that has left me often worrying about what is ahead. That would sometimes cause me to not see what opportunities were in my present path. I found this book to be simple, clear and life changing. I am now focused on Benevolent outcomes rather than worrying about the what ifs... I recommend anyone to spend a little bit of time putting the recommendations to practice into place. I am a believer that you reap what you sow, and this process of requesting benevolent outcomes really puts into place a bountiful harvest of wonderful surprises that will light up your life. 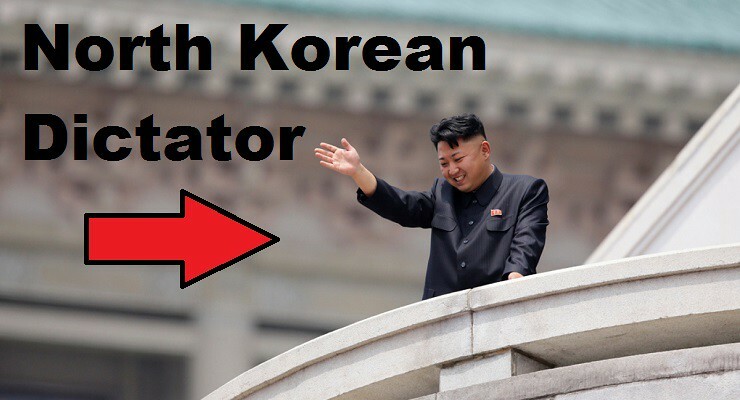 Gaia, will the North Korean President be kept in check by the Chinese, and what is the probability of him being assassinated within the next five years? Yes, the Chinese will attempt to keep him in check, but visions of grandeur will keep the North Korean President testing his rockets and his thoughts about conquering the rest of the peninsula. So, to answer your second question, the probability of him being assassinated within in the next two years is quite high—over 70 per cent at this time. The Chinese will orchestrate his removal from office. That is the highest probability at this time. What about the joining of the North and South? The highest probability would be within the next 10 years. It could be within the next five or six years, but that is in flux right now. Yes, you can say a BP for peace to come to North Korea and that will help things along. UNICEF reports that in 2016 200 million women had undergone this barbaric procedure. Click here. Gaia, what is the highest probability of when genital mutilations will end? Tom, the highest probability is that these genital mutilations will take over five years, but less than 10 to be almost non-existent. 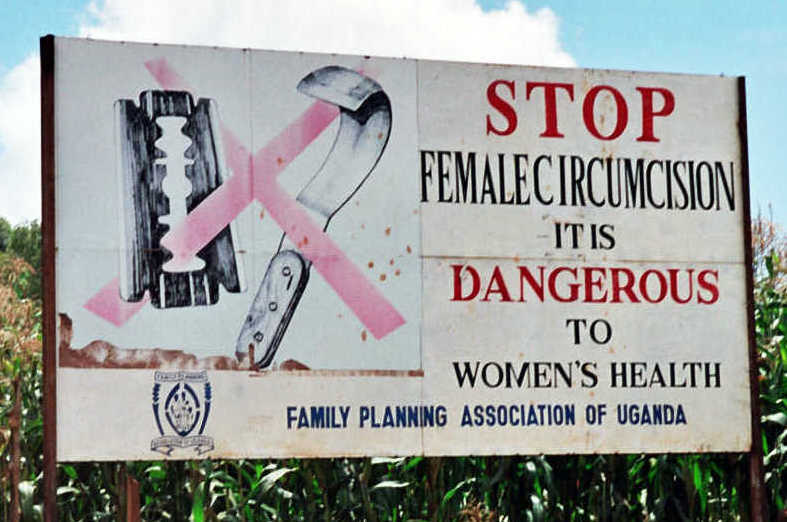 There will be great progress during this time period to stop the mutilation of young girls. It will still be practiced in some remote villages; but with the advent of electricity where there was none, they will be able to view TV and will have access to smart phones. The governments will push for education and laws to forbid the genital mutilation. This only exists in areas that are quite backward, and that is soon to change. Gaia, it was reported in the news that scientists have found that pubic hair prevents or cuts down on STIs (sexually transmitted infections). Will they make even more discoveries as to why we have pubic hair? Quite so, Tom. They have just scratched the surface, shall we say, as to why it was decided long ago by your ET uncles and aunts as to the benefits of having pubic hair. It might look unsightly to some of you and appear useless, but it is not. I do not recommend shaving, even though this is a modern idea of beauty. They will still make more discoveries on its benefits. Naturally, I cannot tell you more as you are well aware that your scientists have to discover more about many parts of your body than they know or think they know at the present time. Just know that their findings regarding STIs are correct. Kevin writes: Can you ask your teachers a question in regards to the prostate gland? Why does a man’s prostate gland enlarge as they get older in life? And is this the proper way it is supposed to function? If not, will science find a means to correct this in the future? Gaia, why does a man’s prostate gland enlarge with age? Is this the proper way to function, and will science find a way to correct in the future? Yes, an interesting question. There are several reasons for the enlargement of the prostate gland that your scientists have already discovered. I invite those who wish to read to simply search on the internet. There are much better ways to treat this condition coming soon that will not involve invasive surgery. I cannot tell you what these are because they must be discovered by your scientists. I will say there are alternative ways already to treat this condition--one just simply has to google and read. May I remind your readers that we have told you numerous times that you are not to give medical advice, due to the litigious nature of the population at this time, hence there are limits as to what I can say. 1) I remember Gaia telling you that everything is ensouled. With that, is there a soul for each country or a group of souls for a country? If so, does Gaia coordinate with the souls of each country for significant events, such as earthquakes, volcanic eruptions and severe weather? Also, how does the soul of the United States feel these days with the current administration and political environment? Does it attempt to influence environmental legislation or does it mostly observe? 2) There seems to be ongoing debate about how the newer generation, called millennials, is so different than prior generations. They apparently march to their own drummers in a lot of ways and are self-focused, yet conscious and progressive. I am wondering if from the non-physical perspective, is there actually a difference in the souls that came into those bodies (possibly more evolved beings), or do their characteristics stem more from the dimensional and vibrational changes that our planet has experienced, or even from growing up with the internet or more gentle parenting trends? Gaia, is there a soul for each country, or is it simply that groups of souls are attracted to have lives in certain countries? There you have it, Tom. There is no “group soul” for each country. 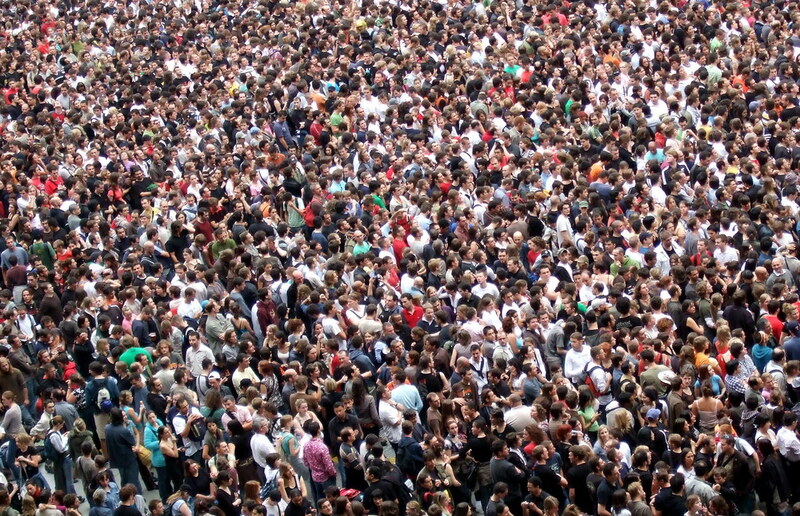 Groups of souls as part of their planning millions of years ago chose to have lives in multiple countries for their soul’s growth. It is quite difficult for you to have the understanding at this time of how this time frame works so that all of your lives are going on at the same time. All your lives past, present, and future are all taking place right now and all of your lives affect the others. Each is important in its own right. Do you contact the souls for each country about upcoming events, or do they contact you, or since you are all in the energy “soup” that you described, are all of these events known thousands and millions of years in advance? There are certain major events mapped out, but many events are connected to probabilities where the souls decide the timing according to the progress your soul fragments are making. Your souls also work within a framework of major earth events whether they be earthquakes, volcanic eruptions, weather and so on. Have the millennial souls being born during this time period had more lives on Earth or about the same as the other time periods? Because there is more peace in the world, although it may not seem like it at the present time, there are a number of souls lined up and already arriving who are more seasoned souls of every type and persuasion you can imagine—especially the arts—as they need times of peace to be able to create. There will always be a mixture of young souls who are having lives during peaceful times in order to work on family dynamics and there will be those younger souls who have to experience such things as wars and major Earth events. So, to summarize, more older souls in terms of Earth lives are having lives at this time. You will see great progress over the next 100 years as you were previously told. Just for a little review for my newer readers, there are 12 parallel Earths called “time lines.” They’re divided into sets of four—12 to 9, 8 to 5, and 4 to 1, and then subdivided into twos. We are on Time Line 6, the middle frequency. Theo, is the difference in frequencies between Time Lines 9 and 8 the same, higher or lower than between 11 and 9? The difference would be a little more, Tom, but not too great. Keep in mind that lives are quite a bit different on those upper time lines, so there did have to be greater separation, but to compare the differences would not be too much more. For my new readers, Antura is a member of my soul group or “cluster” as Theo calls them. He’s so far had 800 lives on Earth. While my soul interest is religions of Earth, his soul interest is exploring, so as an example he was Marco Polo’s uncle and traveled the Silk Road before Marco wrote about his travels. In this round, he is back on our home water world planet in the Sirius B Star System as part of a “first contact” team, as described in my book FIRST CONTACT: Conversations with an ET. His specialty is “grass roots” contacts, which is where I’m involved. He’s headed to Earth on one of those three-mile-wide motherships with a crew of 900, plus their families, around October. Here are more questions this week. Good morning, Brother Antura. Have some questions that have cropped up just in the last couple of days as I’m sure you know. Yes, we keep up with your progress and questions that you write down, Tom. We all appreciate you working to shed light on misconceptions and to shed light on complete ignorance about ETs in general. I am always available to answer these questions as truthfully as possible. Antura, you said that there would be a “lull” between the Russian Disclosure on Time Line 9 and the Disclosure on Time Line 8. Would that be a month or more? We are anticipating certainly about one month to six weeks between those disclosures, Tom. As you were told by Theo, there is a significant drop in frequency between the group of four timelines of 9 to 12 and 5 through 8. Time Line 8 has to have dreams and such to have them feel confident about the disclosure. You can certainly help speed that along with BPs for the benevolent outcome of them spilling the beans, I believe you say. 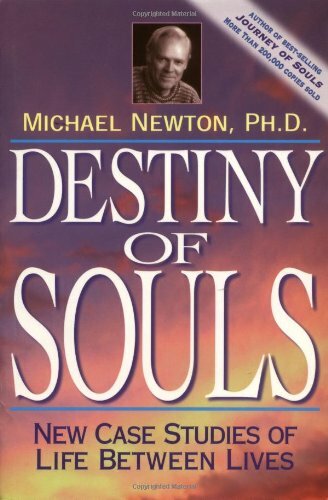 Raymond in Arlington, Texas writes: I am currently reading a book called Destiny of Souls, by Dr. Michael Newton. Dr. Newton is a psychiatrist that began regressing his patients and recorded his experiences with them and their “life between lives.” He has written a few other books related to incarnation and previous life experiences. "Between my lives on Earth, I visit a water world called Anturium which is so restful after a difficult life on land. Anturium has one lone land mass, the size of Iceland. I come with a few of my friends who also have an affinity to water. We are brought by an Explorer- guide who is familiar with this region. Here we join the Kratens, who look a little like whales. They are telepathic and a long-lived race who do not mind our coming and mentally connecting with them for a while. " When I read this, I immediately thought of your friend Antura and I was wondering if this was the same water world you often reference in your blog. There are quite a few similarities. It's the only time I have ever seen it anywhere else. Antura, is there a water world named Anturium and if so, where is it located? There is, and it is in the Sirius B system too, just not our water world. Why does it seem that Sirius B has so many water planets? There are many others, but a number of them, such as in this solar system, are located too far away from the sun to be liquid. They have ice several miles thick in some cases. Antura, any parts of the ship with no gravity? No, all parts of our ship will have gravity. You will learn how to create an artificial gravity in the future without spinning in a circle. What is the gravity in your ship as compared to Earth? A little less, but certainly more than your moon. We need to keep our feet on the floors of the spaceship and not be bounding around. Therefore, we keep the gravity at about 2/3rds that of Earth. I can always turn the gravity off in the scout craft if you wish to experience zero gravity. It might be better to do that on the way to or from the moon, as you might become ill, and we would not want to start your trip needing those little brown bags. Why did you say you were coming earlier than it now appears you will? Yes, we could have adjusted our schedule, but we saw that the Russians were delaying Disclosure, so the mission was delayed. We were fairly certain that it would finally be done around this time period. Antura, can you see all the parallel Earths at one time or just one frequency at a time? No, we can only see one Earth. We cannot see them stacked in a row or on top of one another. This really gets into a quantum physics discussion, but to answer your question, we can only see one Earth at a time. The following questions came about from my viewing of a two-hour presentation Linda Moulton Howe made in Manchester, NH. She is well known for her work in conspiracy theories. Click here to view the presentation. Antura, have the Zetas or any other ET group transferred souls from, let’s say, a dying person to a human clone? Yes, that has been done, and yes, it was illegal to do so. This was not allowed under the overall rules set forth in the Earth Directive, but shall we say, there were a couple of loopholes and the Zetas took advantage of these until the Earth Directive was amended. No, but one loophole was taken advantage of too much, as they did this a few times. The clones were allowed to live out their lives and the souls went on to the next dimension. What is the Council of Five? Yes, that was a group of planets that oversaw the experiments with the humans. They have no more control and are not allowed to abduct, but were originally overseeing the experiments. Antura, is it true that the three ET spacecraft that crashed near Roswell, New Mexico in 1947 carried animal parts from some sort of experiments? Yes, that was part of their early studies of DNA on Earth. Were the craft in the shape of a man’s heel? Again, true. Those reports were fairly accurate. What does a triangle with a dot on the lower junction and one on the right side of the triangle mean? Aravind writes: In January, I did a CT scan to detect what's causing asthma - a condition I’ve had since 2015. Ever since that scan, I felt my body and arms shaking for weeks. So, I requested an MBO to cure me of this condition. I would say the MBO was like: "Dear Guardian Angel, I request a Most Benevolent Outcome to cure me of shaking." Just few days back, the shaking completely stopped. This is indeed a miracle. Thank you so much, Guardian Angels! Ashana writes: I wake up shouting, “NO, NO, NOOO, NO CRAMPS!! !” (leg). Then I yell out the Most Benevolent Outcome prayer, start to finish, and the awful leg cramps are gone. Relaxing, I sigh, “thank you!” That is just a miracle, try it! 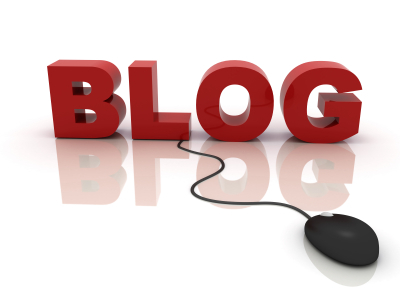 Jan writes: I wanted to share an MBO story. I love nature photography and wandering outdoors in nature. I was walking one day; it was cold with two or three inches of snow on the ground. I had my good camera and took off my lens cap to take photos, lost the cap when walking and realized it, but I had walked 150 ft. as a guess. I was frustrated at losing the cap and asked for an MBO to find it as I started backtracking. Thinking about all the snow, weeds and areas it could be. A lens cap IS black, but a snowy woods path with sticks and weeds everywhere, I was worried. I was thrilled to find it pretty quickly and hike on. I thanked my GA and went on. I then saw a beautiful pileated woodpecker and so wanted to get his picture (they are shy and fast). I asked another MBO to be able to capture him on camera. I followed him a bit hoping, and suddenly got an opportunity! Thanks, MBO! After the shot, I suddenly realized I had AGAIN lost my lens cap!!! Grr! Mad at myself, I again asked, “I ask for an MBO again to Please to find my camera lens cap.” I started backtracking… thinking not likely two times in one day, but sure enough all the bird following, snow, tall weeds, sticks, etc., and still again I found my lens cap. After three in a row, 1) lens cap, 2) bird photo, and 3) lens cap again, I knew I had to write. Unbelievably well… and over and over, THAT is how well MBOs work. May I suggest that if you are constantly losing things such as a pair of glasses, you request an MBO to never lose them again. Tanudja in Melbourne, Australia writes: Hello! Thank you for your wonderful tools. I have just signed up for the newsletter, which I read with great interest. I now have the signs where I can see them and say them every day. I do have a question for Theo: Hi Theo. I have a persistent doubt or misunderstanding that is holding me back. What is the point of us trying to create our reality (and why does every channel in SJE tell us we create our own reality), when in actual fact all MAJOR life events have already been determined as soul contracts before we come and cannot be changed? This is a blatant contradiction. I feel like a puppet and live in fear that something truly awful/violent could befall myself or my family at any time - regardless of my vibration, my MBOs or BPs, how joyful I am or what precautions or choices I make. And even if nothing dire is slated for me in this life, if my soul doesn't want me to be successful or prosperous or have a fulfilling job, then nothing I do or say or try to create here will work. So, why do you all on the other side keep telling us we are powerful creators? We cannot create what the soul has not chosen--and what the soul wants and what we want are usually very different. So, why should I bother trying to create anything-- it makes no difference. Why bother living when we have no meaningful choices? I understand the service we're doing for the creator, etc., and I understand that I have always been a puppet in every lifetime as part of that service - and that's fine - but now I know in advance that I'm a puppet. And this knowledge makes it a thousand times worse - in fact it makes life unbearable. Why did you (those on the other side) tell us? Why did you tell us? Why did you tell us? Also, we have no memory of agreeing to these things, so telling us we "chose" these abuses is disingenuous and really makes me cross whenever I read that in SJE. It's something a politician would say. Soldiers who voluntarily join the army go into war with full knowledge of what horrors could happen. That's real choice. Kids getting abused is not. My CEO chooses my work hours - just because I am part of his company doesn't mean I chose the hours. And anyway, if I don't like it I can leave my company, but we can’t leave our lives - our souls will go thru life after life forcing the physical aspect to experience what it wants (which the soul angels and Creator conveniently cannot feel). Anyway, I hope you have some insights for me on how to come to terms with all this. Gaia, please provide my readers with more of an explanation of how much control over our lives compared to what is on our soul contracts? It seems to many that we are puppets. We cannot create what the soul has not chosen. That is a false assumption. We must remind those doubters that was not just your souls chose these lives, but as fragments of the soul you are aware of the whole plan for your soul, and you were in full agreement, prior to birth, of your soul path that you needed to take to assist your own soul in raising its vibration. That is the goal of all the souls that are taking part in the Earth Experiment. Remember, your souls volunteered for this in order to fast-track raising your vibrations with the end result of melding together and becoming a creator, something that has never been achieved in any other of the billions of creations. So, on a super conscious level you wish to remain on the soul path you chose before birth. And that’s where we have explained countless times that by requesting MBOs you will stay on your chosen soul path and will not wander off and get yourself into much less desirable circumstances. You take the proverbial high road. Learning to request MBOs was a great gift for this time period for those who learn about this tool to use in your life. Don’t dismiss it. Theo, is there a resurgence in witchcraft, and if so, for what reasons? You can use the analysis of a pendulum, as there are more people exploring different religions and some are attracted to the old earth ways. There are many good beliefs in witchcraft such as honoring the earth mother. Allow this exploration of religions, as it is part and parcel of the Earth Experience, just as having lives in one of the main religions of the world is there for learning and the understanding each person will have during their many lives on Earth. Carole writes: Would you please ask your guide what he thinks of placing a book under a pillow and remembering what is in it. I think the first time I read this was from Edgar Cayce a long time ago. Just recently it popped up again in my readings. Can your GA explain how this works? Would it be good to say an MBO when you place a book under pillow or what should you say? I've studied the Course in Miracles and was thinking of the idea of placing this book under my pillow. By the way, my husband can be cynical about some things, but he is now using the MBOs. He found out they work by me doing them out loud in front of him. Thank you. Theo, would placing a book under your pillow at night and requesting an MBO to remember what was in it work, and if so, how? The information requires a good connection between you and your guides and GA, Tom. We are planting that information if you believe it actually can be done. The information is simply transferred from one GA to another—in this case the person who sets this as a belief. In reality they would not need to place the book under their pillow, but this gives them focus and intent. You could imagine it as having your own GA read the book during dreamtime and then downloading it into your subconscious for you to access. It would take great concentration over a long period of time to be able to do this more than once. Theo, how many transition angels are there? Over a million, as there are that are acting as GAs or less? Yes, you can use that number for the whole souls that assist you when you die, as that number is very close—perhaps a little fewer, but this number can be used for these discussions. As you can imagine, there are millions of people dying every day around the world, whether it be from accidents, old age, health reasons, and yes, war. Each person is assisted by a soul fragment of these souls who, through great love for you, assist each person according to their beliefs to be escorted away from their bodies. From our side, it appears very beautiful as, of course, there is confusion at first on the part of your etheric bodies. For some with very rigid beliefs it takes a little longer than for others. But may we remind you there is no time on our side. My friend, Steve Rother, in his March newsletter, received that we will receive four waves of energy this year. To read his newsletter, click here. Gaia, did Steve Rother receive correctly that we received a wave of energy during the first part of March and that there will be three more waves of energy in May, July and around October? That is correct, but for what reason? Humans need these energy bursts, we will call them, as time continues to speed up and you reach for higher levels in your time line. As you were told before, time continues to speed up and you need jolts of energy to assist in this process.